World Day to Combat Desertification (WDCD) is celebrated on 17 June each year to remind everyone of the importance of healthy and productive land. 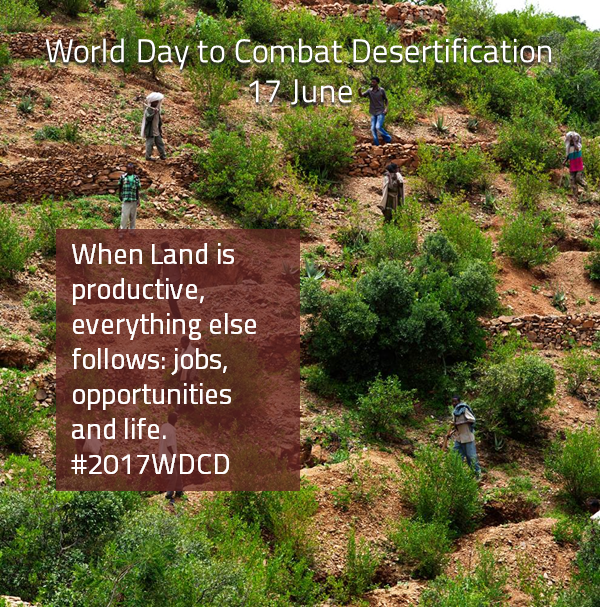 #2017WDCD sends a strong message about how land contributes to the sustainability, stability and security around the world. 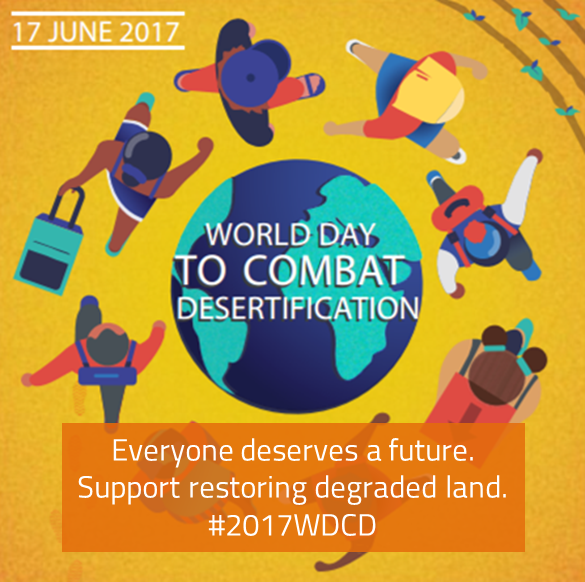 The United Nations Convention to Combat Desertification (UNCCD) secretariat invites you to join the #2017WDCD campaign! The land is our home, our future! 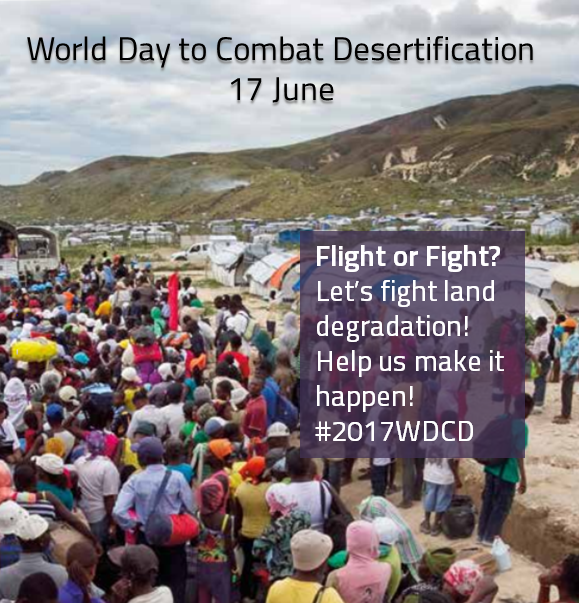 Send your event details to wdcd2017@unccd.int , so we can help you promote it! Participate in a 2017 WDCD event! More 2017 WDCD videos and pictures coming soon!